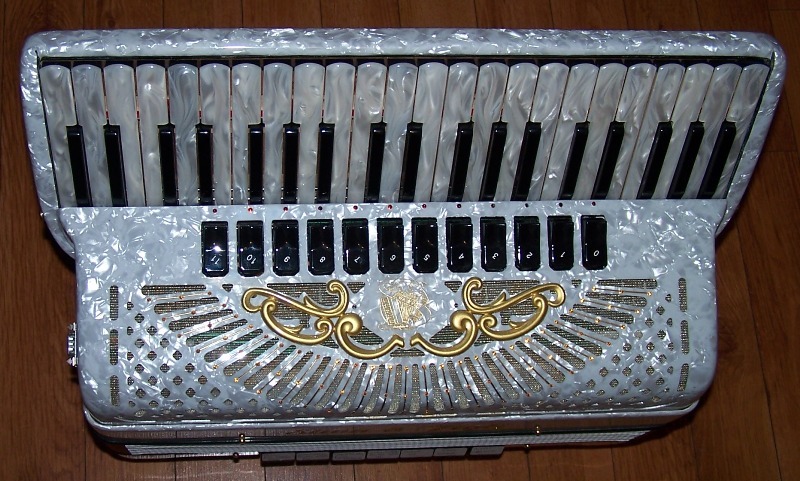 This gorgeous Siwa & Figli White Star Reedless MIDI accordion was custom built for John Krempasky as a back up instrument to his black Siwa & Figli Super Millennium Hybrid MIDI accordion. 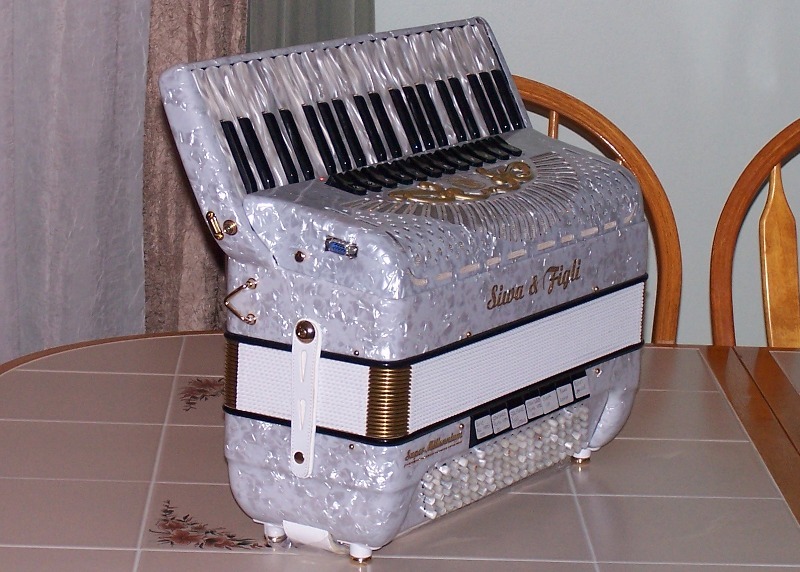 Since the black accordion has played without issues for years and John has played the White Star only few times he decided it would be better to have someone else play the White Star accordion regularly and enjoy its unique electronics and excellent mechanical features. 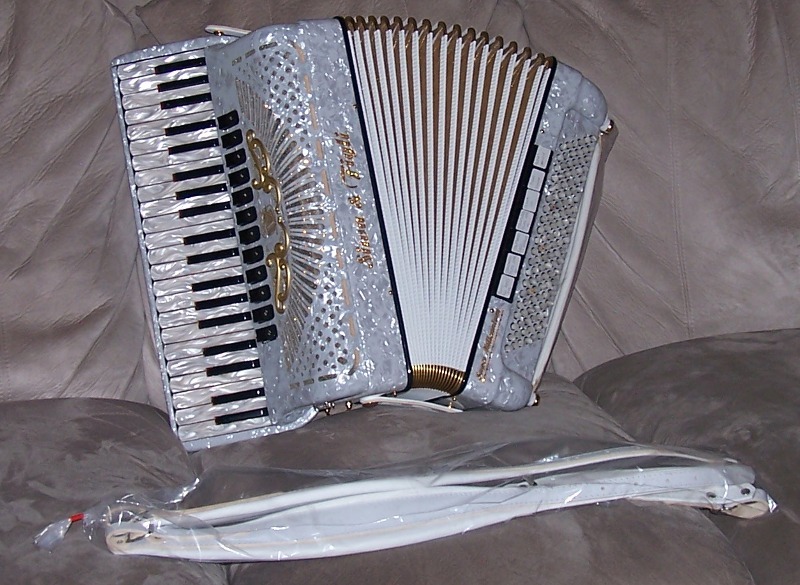 Below is a brief description of the accordion. 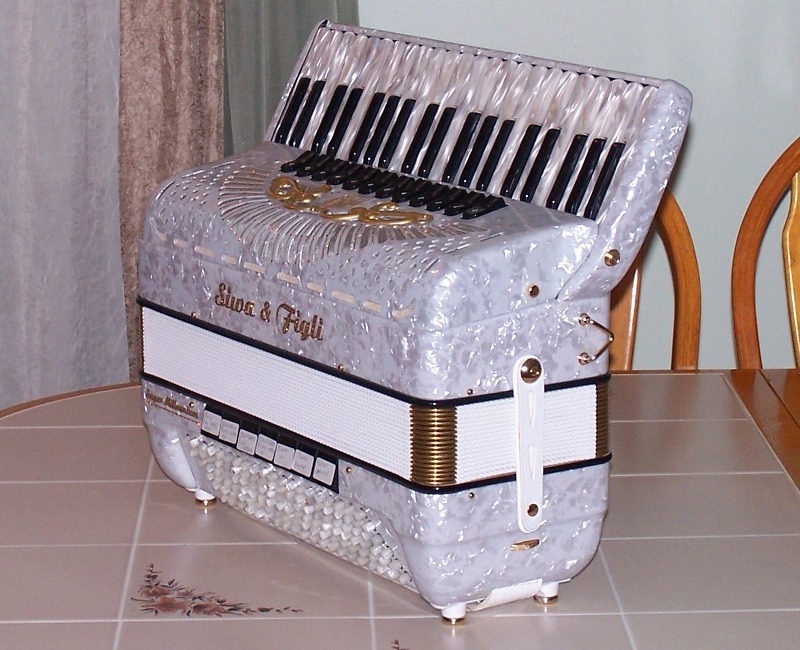 16 independent instrumental parts that can be assigned to 4 MIDI OUT sockets, programmed to each part of the accordion (treble, bass, and chords), and selected in real time with 16 programmable accordion switches (12 treble and 4 bass). Each instrumental part can be enabled or disabled on the fly by pressing a button on the MIDI controller (see pictures below). This allows for simultaneous control of up to 4 external MIDI arrangers in addition to the two built-in sound cards! Wireless Operation without any external battery packs or belt packs - all electronics functions could be programmed and accessed remotely in real time from the accordion switches. 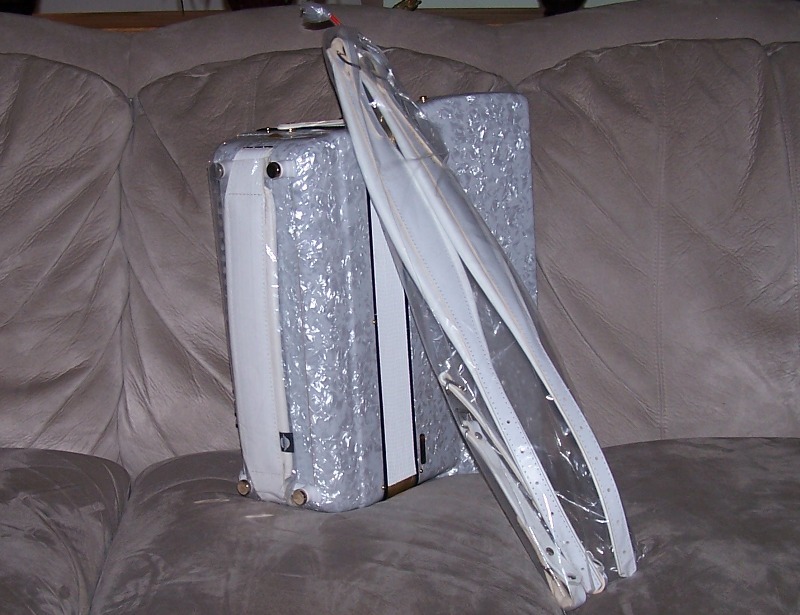 The accordion comes with all necessary cables and accessories including nice case and straps. For each sound bank you can access 24 accordion or orchestral sounds using the 12 treble switches. Each switch access two sounds and you can alternate between them by pressing the switch again. Some of the sound banks are programmed with only the Siwa sounds, others use the Ketron SD2 sounds. Some banks are programmed to use both sound cards and even the live drums and patterns files if used with an optional external Ketron MIDI arranger. 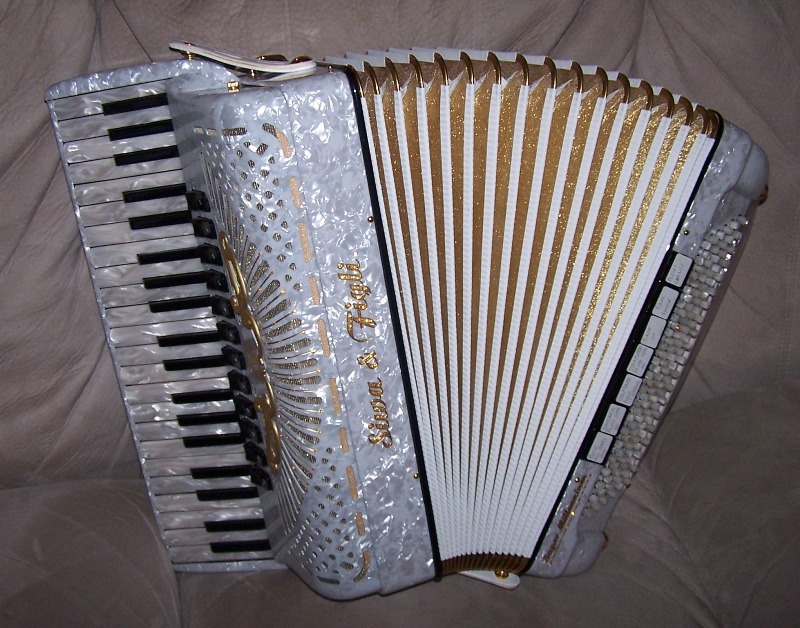 The accordion is still like new, only played few times. Call 973-770-6877 with any questions or to schedule a visit. were taken. The currently programmed functions of the bass switches are listed in the description above. 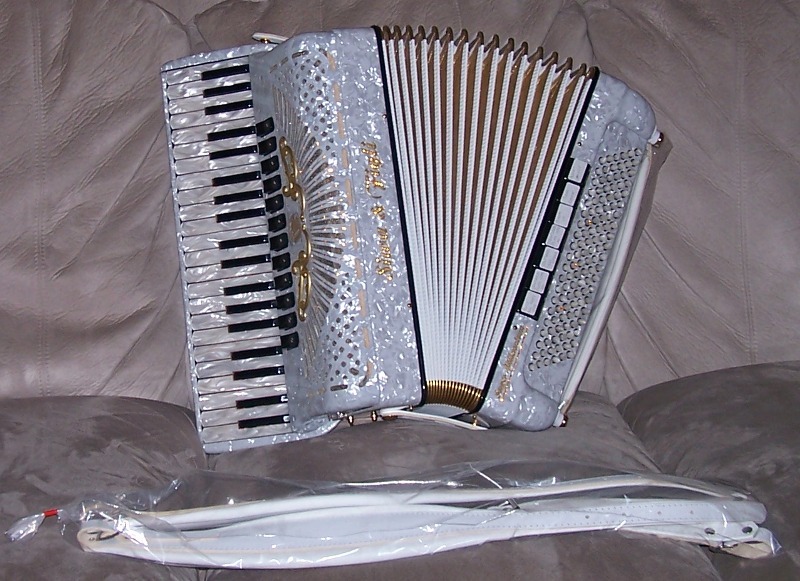 The accordion comes with luxury Velvet bellows protector (not shown in the above photograph). time press F#1 on the key board. For Bank 8 press simultaneously Bass switch 1 (top) and C1 on the keyboard. For each sound bank you can access 24 accordion or orchestral sounds using the 12 treble switches. Each switch access two sounds and you can alternate between them by pressing the switch again. Some of the sound banks are programmed with only the Siwa sounds, others use the Ketron SD2 sounds. 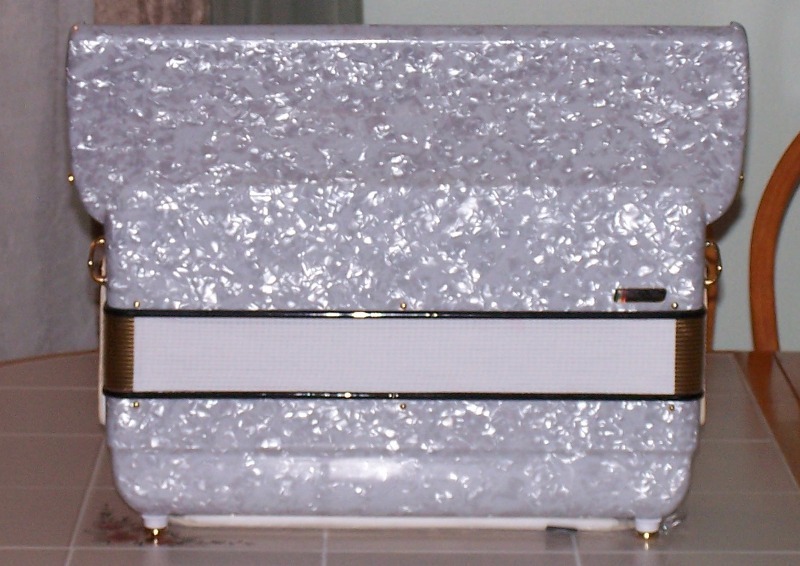 with an optional external Ketron MIDI arranger. Petosa (Logic Systems) controllers. I can provide chart for the Petosa reedless accordion users for a smooth transition. from the middle section of the control panel. 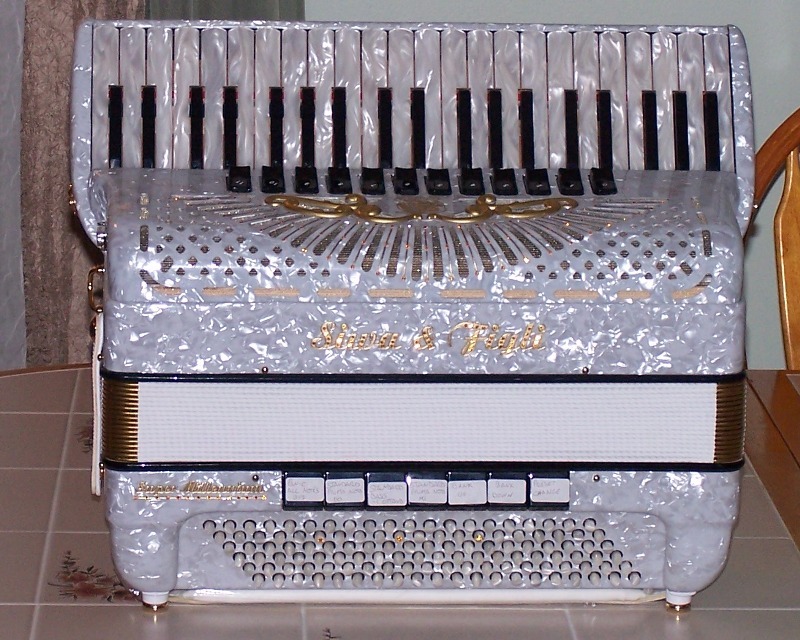 A manual is provided with the accordion.